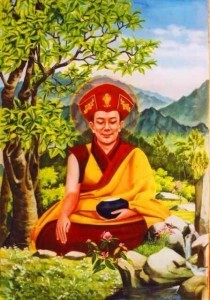 Most Venerable Drubwang Rinpoche, Most Venerable Khenchen Konchok Gyaltsen Rinpoche. was born in 1946 in Tibet and fled to India with his family in 1959. In 1967, he was admitted to the Central Institute of Higher Tibetan Studies and completed a nine-year course of Buddhism study. He took full monastic ordination in 1968 and received teachings from many great masters including Kalu Rinpoche, the 16th Gyalwa Karmapa, and Khunu Lama Rinpoche. In 1978, Khenchen Rinpoche began a three-year retreat under the guidance of Khyunga Rinpoche, and in 1985 he traveled to Drigung Thil, the main seat of the Drigung Kagyu lineage in Tibet, and received blessings and transmissions of Mahamudra and the Six Yogas of Naropa from the venerable Pachung Rinpoche. Khenchen Rinpoche came to the United States in 1982 and started the Tibetan Meditation Center in late 1983. He has translated many Drigung Kagyu practice texts into English, established centers throughout the United States and in Chile, and printed and distributed more than a thousand important Buddhist Texts to monasteries in India, Nepal and Tibet. Khenchen Rinpoche has published many books to spread the teaching of Dharma. The Jewel Ornament of Liberation by Gampopa is one of the texts that Khenchen Rinpoche found to be most inspiring. For a detailed description of his published books, CLICK HERE. 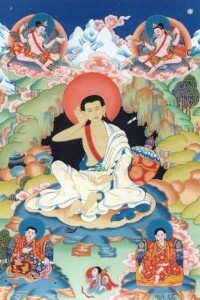 The Venerable KHENPO CHOEPHEL is originally from Drigung Thil Monastery, the head-monastery of the Drikung Kagyu lineage. He was ordained as a monk by Vajradhara Pachung Rinpoche at a young age. While at Drikung Thil, he received many teachings and instructions first from Pachung Rinpoche and later from Pachung Rinpoche’s successor, Gelong Rinpoche, Vajradhara Tenzin Nyima. 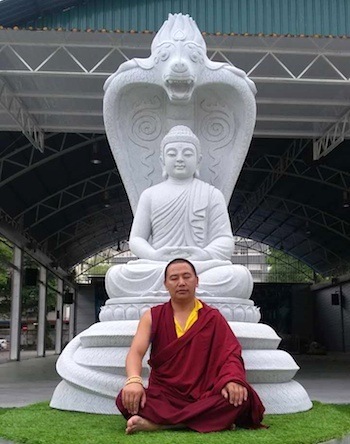 Aside from having received extensive teachings in Mahamudra from these two great masters, he is also a master in the ritual-traditions of Drikung Thil Monastery and has also received training in debate and philosophy at Drepung Monastery in Tibet. Before he left Drikung Thil for Nepal, Khenpo Rinpoche served as the chant-master of the monastery. In 2007, he was appointed “Khenpo” by Drikung Thil Monastery. 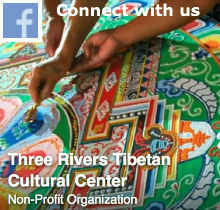 Khenpo has been in the United States since 2007. 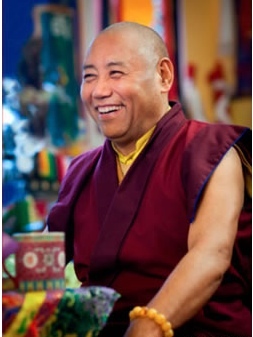 He has served as one of the three spiritual directors at Tibetan Meditation Center in Frederick, Maryland before coming to Pittsburgh in November 2011. Khenpo Choephel is giving a series of teachings and leading the retreats on the Fivefold Path of Mahamudra, which he considers as the most important profound practice and essence of all the dharma of Buddhism. The Venerable Lama Kalsang came to Pittsburgh in November 2017 from Drikung Kagyu Rinchen Ling Monastery in Kathmandu Nepal. 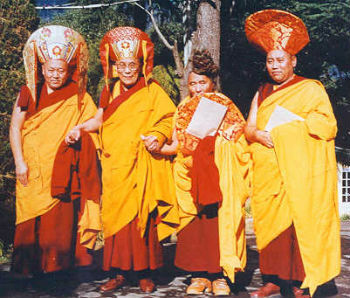 He was ordained in 1992 by His Emminent Nubpa Rinpoche and Most Venerable Drubwang Rinpoche. He has studied under many Tibetan Buddhism masters like GeLong Tsongdru, Drubwang Tenzin Nyima Rinpoche, His Emminent Khenchen Konchok Gyaltsan Rinpoche and His Holiness Drikung Kyabgon Rinpoche. Lama Kalsang has been trained in ritual practices at Drikung Kagyu Jangchub Ling in India, and served as a chant master, disciplinarian, and treasurer from 2004 to 2013 at Drikung Kagyu Rinchen Ling in Nepal. From 2014-2016 Lama Kalsang served as one of the three directors of the monastery. 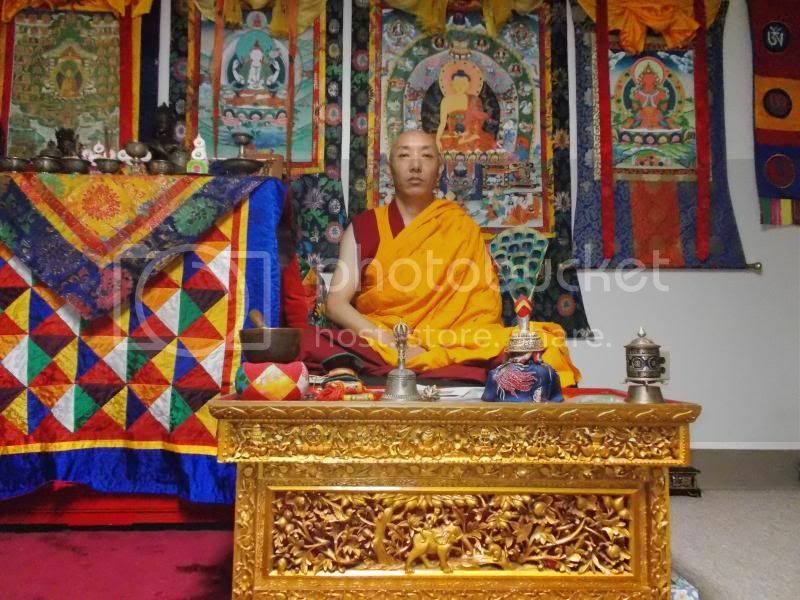 He has travelled to some European and Asian cities with his teachers to spread dharma teachings before coming to Three Rivers Tibetan Cultural Center to be our resident teacher.